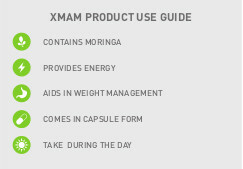 Zija's XMam capsules contain a breakthrough formula that combines healthy Moringa with other natural ingredients to help stave off mid-day cravings, spur natural fat-burning mechanisms and promote a positive mood. Zija's research team has found a way to further enhance over three decades worth of research on thermogenesis, appetite suppression and weight control. Simply put, XMam raises the bar on weight management and promotes a lean body by turning off your hunger switch and converting body fat for weight loss. 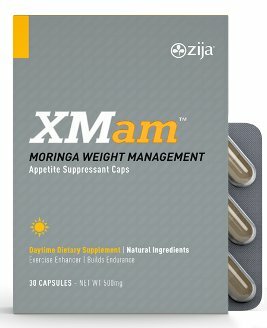 XMam is an important part of Zija's complete Weight Management System, along with SmartMix, XM+ Mix, XMpm and Premium Tea. 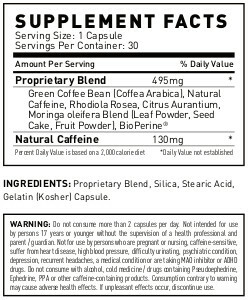 Take one capsule orally mid-morning and/or mid-afternoon, two hours after a meal and/or on an empty stomach, and one and half hours before any meal. Do not consume late in the day.